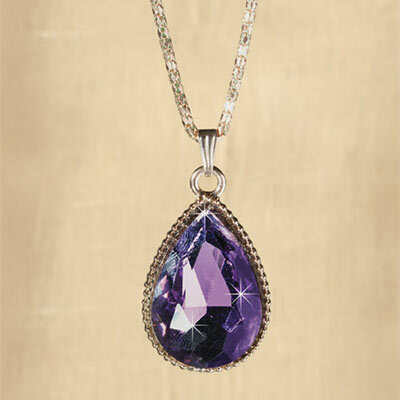 This Purple Teardrop Necklace is a touch of royalty for any outfit! This elegantly styled necklace features a rich, purple faceted stone in teardrop shape, surrounded by gold-tone filigree on an ornate box-style chain. 16"l chain with 2"l pendant.